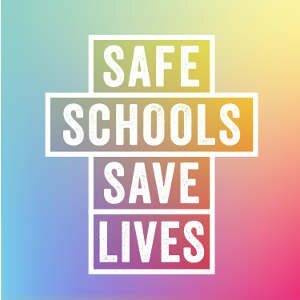 A survey conducted by the California Safe Schools Coalition found that 60 percent of school districts are not in compliance with state requirements to establish policies preventing discrimination and harassment based on gender identity, appearance or behavior. Read more about two bills that would promote a safer and healthier environment in California schools. Sacramento, CA – Two bills that would promote a safer and healthier environment in California schools advanced in the State Assembly on Wednesday, demonstrating a commitment by legislators in California to the principles of equality and fairness. The Safe Place to Learn Act (Levine, D-Van Nuys), a bill that would require school districts and the Department of Education to comply with California’s existing laws regarding anti-discrimination in schools, earned a 7-2 vote in the Assembly Education Committee. Sponsored by Equality California (EQCA), a statewide advocacy organization, Assembly Bill 606 puts public school officials in California on notice that protections against harassment are not surrendered when individuals step onto school property. AB 606 provides clarification and guidance to schools districts to ensure that provisions of an earlier bill, the California Student Safety and Violence Act of 2000 (AB 537), are fully and properly implemented. The bill will clarify the minimum steps that a school district must take to ensure the safety of all students. Current standards require school districts to establish and publicize a non-discrimination policy that includes actual or perceived sexual orientation and gender identity, among other steps that must be taken. Failure to comply with these requirements places funding in jeopardy for school districts. According to the 2001-02 California Healthy Kids Survey, each year more than 200,000 middle school and high school students are harassed on the basis of actual or perceived sexual orientation, representing 7.8 percent of the school student population. Students who experience this type of harassment are three times more likely to miss school because they feel unsafe, twice as likely to report depression and suicidal thoughts and plans, and are more likely to have low grades, be victims of violence or use illegal substances. Next week, AB 606 is scheduled to be heard in the Assembly Appropriations Committee. AB 1056 (lead author Assemblymember Judy Chu, D-Sacramento), a bill that would require the State Board of Education to develop a pilot project integrating intergroup relations and tolerance curriculum into the English and Social Science framework, also advanced in the Assembly, receiving a 9-2 vote in the Assembly Education Committee. AB 1056 would direct the Board of Education to consult with human relations commissions and individuals and groups that are protected by California’s hate crimes legislation. A bill titled the William J. “Pete” Knight Memorial Act (AB 1218, Wyland, R-Vista) failed by a vote of 4-6 to achieve passage in its hearing before the Assembly Education Committee, marking the end of the road for this legislation. Named for a state senator who opposed the key focus of the pledge — liberty and justice for all — this bill was opposed by EQCA unless it had been amended to remove the reference to Knight. The bill would have required that the Pledge of Allegiance be recited daily at elementary and secondary schools. Founded in 1998, Equality California is a nonprofit, nonpartisan, grassroots-based, statewide advocacy organization whose mission is to ensure the dignity, safety, equality and civil rights of all lesbian, gay, bisexual and transgender (LGBT) Californians. Equality California is one of the largest and fastest growing statewide LGBT organizations in the country. We can be contacted through our website at www.eqca.org.